As we reflect on 2018, there’s no doubt that the last year brought a lot to the table when it came to innovating HR methods and the business world in general. We saw changes implemented to improve the work-life balance of employees, a higher emphasis on diversity and inclusion, and increased applications for more than a few technological advancements that allowed businesses to function more efficiently, to name just a few. 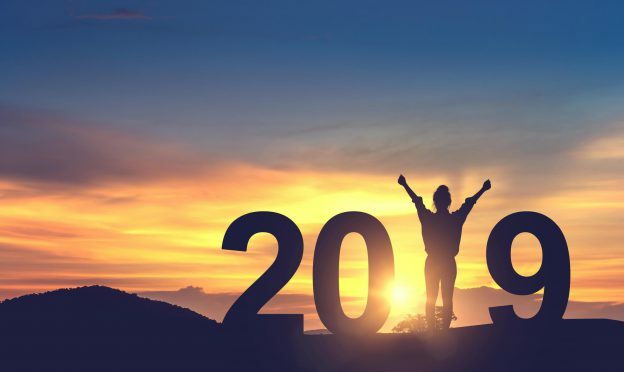 But as we begin the final year of the decade, it’s time to build on the past and look ahead to what will be HR’s biggest focus points in 2019. In the past few years, we’ve already seen companies instituting changes that allow employees to import more and more aspects of their personal lives into their place of work, like focusing on self-care during work hours or even encouraging people to bring their pets into work. The inverse is true as well; not only are more personal activities being done at work, more work-related activated are being done at home. Since a better work-life balance leads to reduced stress which leads to higher quality work performance, it’s fortunate that we can expect to see this trend continue with even more employee flexibility in 2019. Although artificial intelligence is only just starting to make its mark as a relevant part of the workforce, it’s expected to start taking shape even more in 2019. AI will further increase efficiency across departments including human resources by streamlining various HR processes like scheduling and hiring. Not to worry though – it is not projected that AI technology will replace human workers anytime soon. To quote a tweet from Tesla CEO Elon Musk, “Humans are underrated”; AI will only make humans do their jobs more efficiently and effectively. In our last post, we discussed the importance of employee engagement and how to identify and deal with emotionally detached employees. High employee engagement generates benefits on multiple fronts including increased morale, a greater quality of work, and decreased turnover rate. In 2019, many companies will be taking what we’ve learned about the significance of employee engagement in the last several years and putting it to good use, spending more time and energy on employee engagement practices than ever before. Business solutions company G2 Crowd has projected that companies will spend 45 percent more on employee engagement in 2019 than in previous years, which will have a tremendous positive impact on the workforce. Of all the emerging trends of 2019, diversity and inclusion will likely be the most significant, and rightfully so – having a wider array of backgrounds and perspectives is essential to the success of any company. Changes will be instituted to eliminate bias during the hiring process, and organizations will be encouraged to pay more attention to the level of diversity in their working population through detailed analysis. A higher emphasis will also be placed on educating and informing about the importance of diversity through internal training programs and a number of emerging conferences that focus specifically on diversity and inclusion. Although change is never easy, it’s hard not to feel positive about a lot of the expected trends coming this year. These changes won’t only provide countless benefits for organizations everywhere, but more importantly, the people behind them. Thanks for reading – please feel free to share your thoughts on this year’s upcoming trends.